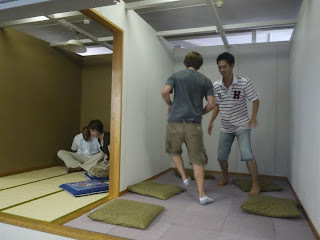 These are some pictures of what the earthquake simulator looked like. 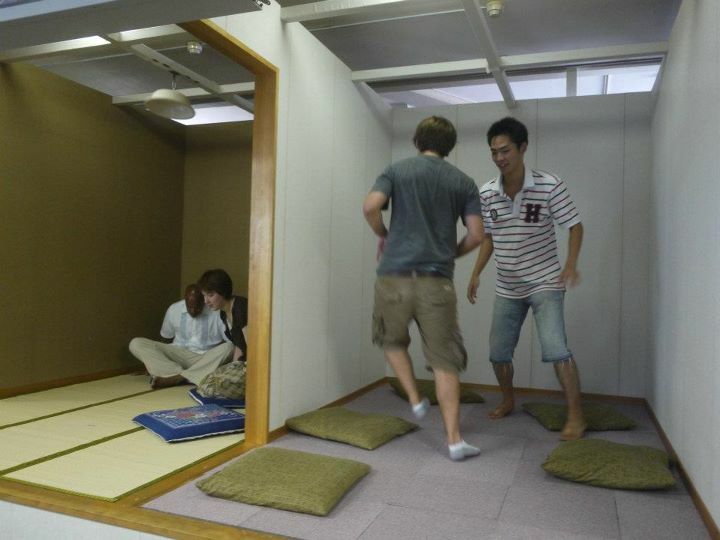 There were actually three little rooms, each with cushions to sit on. 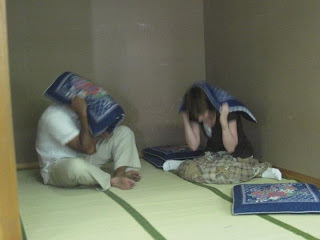 The guy in the room with me is our program resident director. And you can see the two guys in the room next to us trying to stand up... for some reason.